Grabbing our camera to capture a great moment in our lives is nothing new. But in recent years the phenomenon of selfies means it no longer matters if there isn’t anybody around to capture the moment for us. But it’s not just us people who like to pose in front of the lens. Social media is full of animal images; it seems that we love seeing our furry friends more than our human ones! But this one animal has captured thousands of hearts as he took time out of his wild day to make sure he didn’t miss out on the perfect photo opportunity. 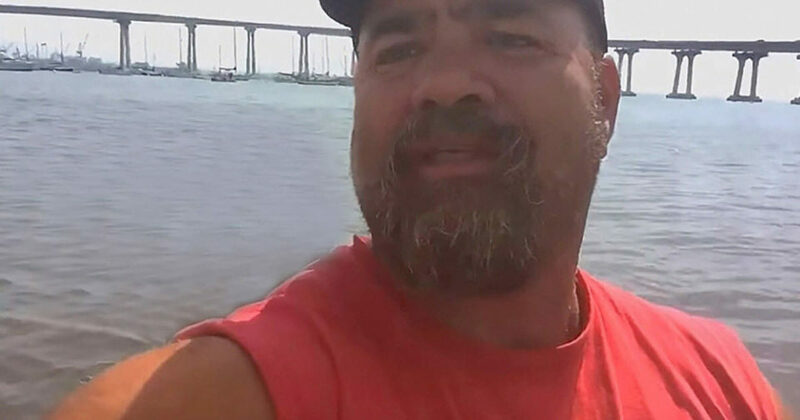 This man was enjoying the sunshine and ocean with a trip on his boat. He wanted to capture the sweet moment and got his camera out ready to record. But it turns out he wasn’t alone in his selfie as someone else wanted to join in. As he sat on his boat with his camera a seal jumped out of the water and decided to hang out with him on his boat. He was so surprised he had to immediately hit record to introduce his new friend to the world. Completely unphased by the human stranger the seal started to snuggle the man’s shoulder. The man couldn’t believe how friendly this seal was. This is considered highly unusual as seals may look cuddly but they can be aggressive. 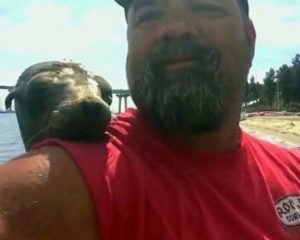 This seal went completely against the grain when he decided he wanted to hang out with his new human friend on his boat. The result is a wonderful movie clip of two friends. See them posing together in the video below; so cute! SHARE now to spread this sunshine story to your friends on Facebook!